But y'all. It's hot. And Pasta recipes are the quickest and less heat creating recipe. This one is so unique. 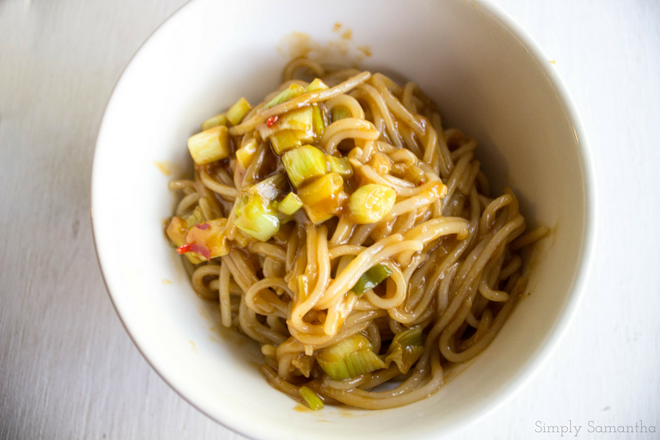 It has some great flavors and ingredients I don't typically use in my noodle recipes but it packs a great punch. As always you can add any protein/extras you want. Some chicken or even chickun' pieces would do nicely in this dish. I added some of our favorite veggies to ours. Broccoli is our go to with pasta dishes. Cook pasta according to the package. Just be careful because gluten free pasta starts to clump if you let it sit for too longWhile the pasta is cooking, add oil to a pan (i used a wok) and cook until garlic and green onions fragrant. Stir in cornstartch until incorporated. Then add soy sauce, "chicken" broth. sweet chili sauce, sriracha, and rice wine vinegar. Whisk then simmer for 1-2 minutes. 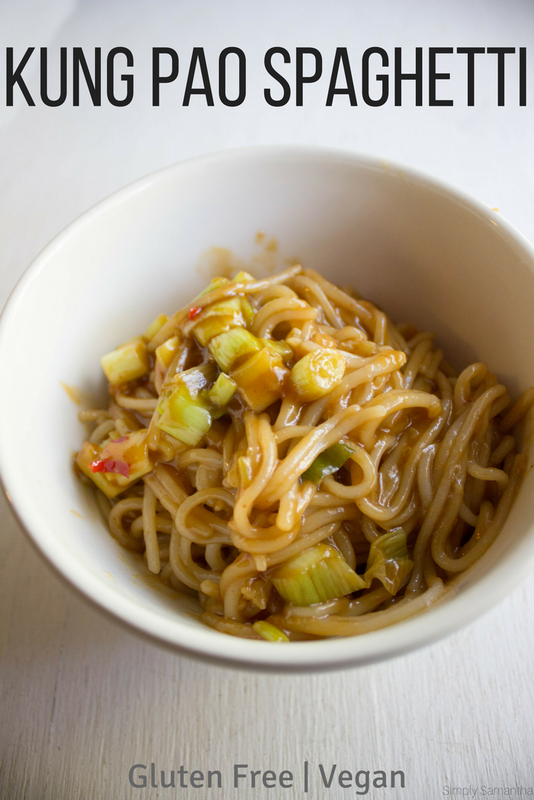 Cook till the sauce thickens.Add noodles to the pan (or wok) and mix well. Add in any extra proteins or veggies to your liking. 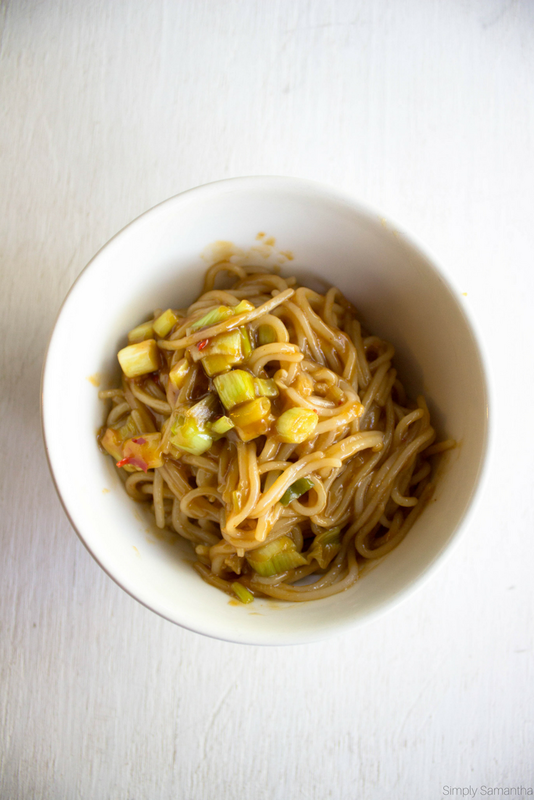 *I use Tinkyada White Rice Spaghetti noodles. They are amazing for Asian dishes. **Better than Boullion has a vegetarian "no chicken" chicken broth. I highly recommend it for this recipe. ***Forgot to mention that you can use the salt and pepper in the recipe to your taste.